Nyle Conditioner - is The BEST Conditioner I have used ! Home ReviewsHaircare Nyle Conditioner – is The BEST Conditioner I have used ! 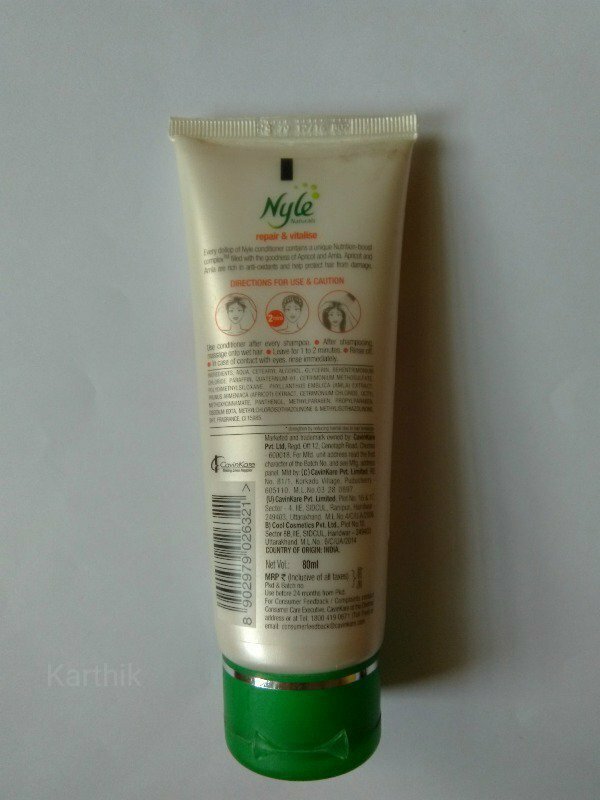 Nyle Conditioner – is The BEST Conditioner I have used ! I never used conditioners as I had some homemade tricks to keep my hair healthy and lustrous. So, it was always fenugreek packs or hibiscus packs, lots of oil and finally the shampoo to get rid of them. 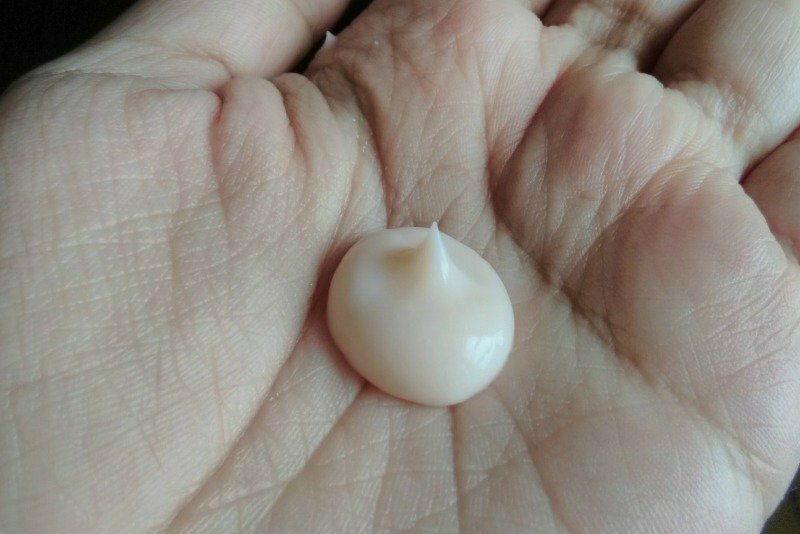 Through one of my friends, I got to know about the benefits that a hair conditioner had. What I now like about these conditioners is that these keep your hair untangled when wet, so there will be no hair fall during wet combing. 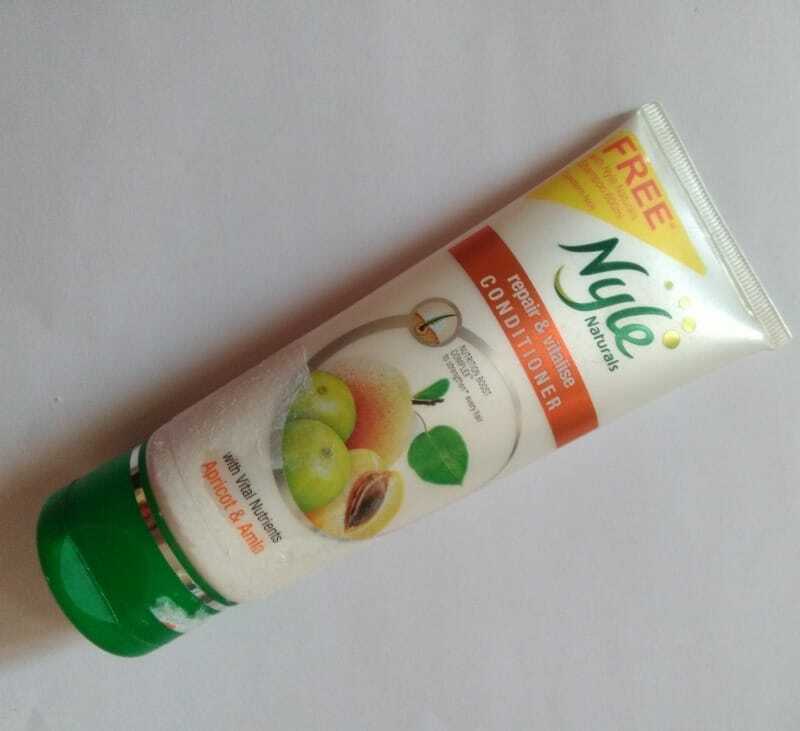 Finally, I decided to use one from Nyle since I am all about herbs and natural ingredients.I have been using the Nyle Conditioner– Repair and Vitalise Conditioner for over a month now and the results are pretty good. This product is said to have vital nutrients from Apricot and Gooseberry, which protect the hair from external damage and most importantly, keep your hair moisturized. Using Gooseberry or simply Amla on hair is backed by scientifically proven benefits. Amla is rich in essential fatty acids and thus, it strengthens the hair follicles. Loaded with antioxidants and vitamin C, this fruit can also prevent premature graying. It also increases the iron and carotene content in the hair, which is important for the healthy hair. Apricot is rich in linoleic acid, which keeps the hair moisturized and healthy. • To be used after every shampoo for visible results. • Nyle – Repair and Vitalize should be massaged onto the wet hair. • It has to be rinsed after two minutes. Price – Rs.70 for 80 mL tube. Texture and Fragrance – light orange cream with a smooth texture and a pleasant aroma. It feels a little oily and does not form much lather. Before Nyle, everything about my hair was good except it went dry within few hours, which is something I didn’t feel good about. I use Nyle shampoo, so I kind of had an idea as to how Nyle products work. I could see some really cool results from the first usage. Firstly, it is the fragrance; it is mild and not too strong. It does not form much lather. It feels like you are applying some oil to your hair. Once you rinse it off, you can feel the free strands of hair. There was an increase in my hair volume and my hair was all bouncy and shiny for 3-4 days. As told, lack of moisture was my biggest concern and Nyle conditioner locks moisture and makes the hair appear very healthy. I was on the verge of getting split ends and with Nyle, I have prevented that from happening. • Not that I know of. Absolutely yes. For those who have dry hair, Nyle – Repair, and Vitalise is worth a shot. The difference can also be felt in no time. Now, I do understand the importance of conditioning the hair and maybe others should know it too. Dove Conditioner – Dove Hair Therapy Daily Shine: Hot or Not? Best Hair Masks and Conditioners of 2017! Why is Colorbar Primer My Favorite ? Very honest opinion Suraksha. i loved your review.. The moment I spotted that it fixes split ends I jumped! I am going to try this too.. Dryness is an issue for me. Hoping this would take care of that..